One of the greatest attributes of this hammer drill is its no fuss design. It’s extremely portable and low-maintenance with no tangling cords. 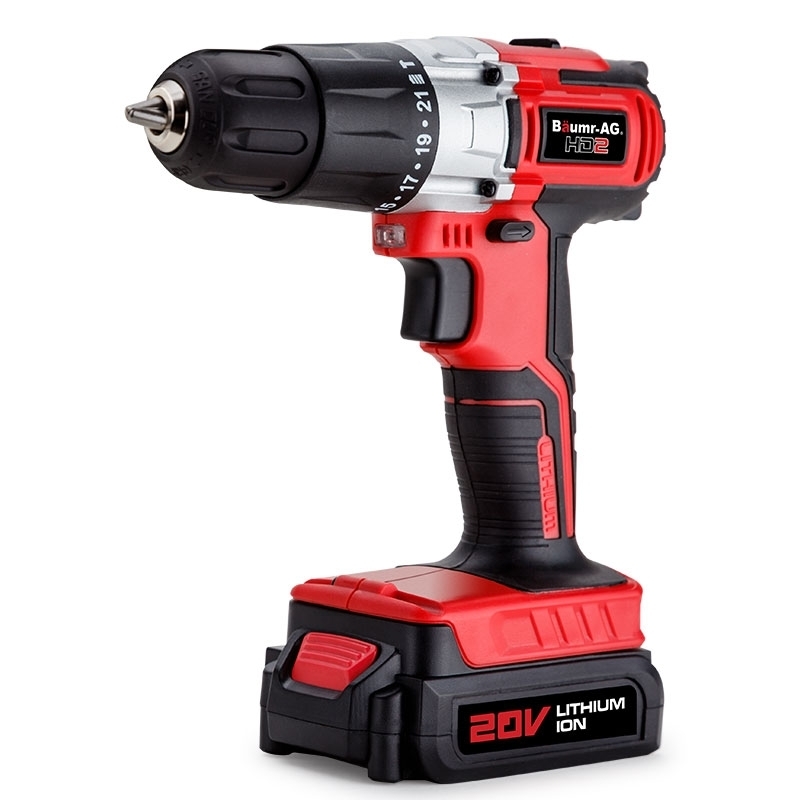 The super-durable yet lightweight body, thermoplastic rubber over moulded handle, 22 torque settings and keyless chuck are hugely beneficial features when you’re dealing with brittle, yet compact materials. This highly efficient and versatile unit also features a dual gear speed selector that further assists in drilling into a range of stones, concrete, bricks, tiles and other masonry. The Baumr-AG Alpha 200 series is here! And the HD2 20V Lithium Hammer Drill is at the frontline providing the economic and practical way to take control of all your masonry drilling needs, and for added benefit, all models within the Alpha 200 series are all operable with the same 20V lithium battery. Don’t delay - order your very own now!